Organizations like Mercy for Animals do undercover investigations of factory farms to expose the bad circumstances there. 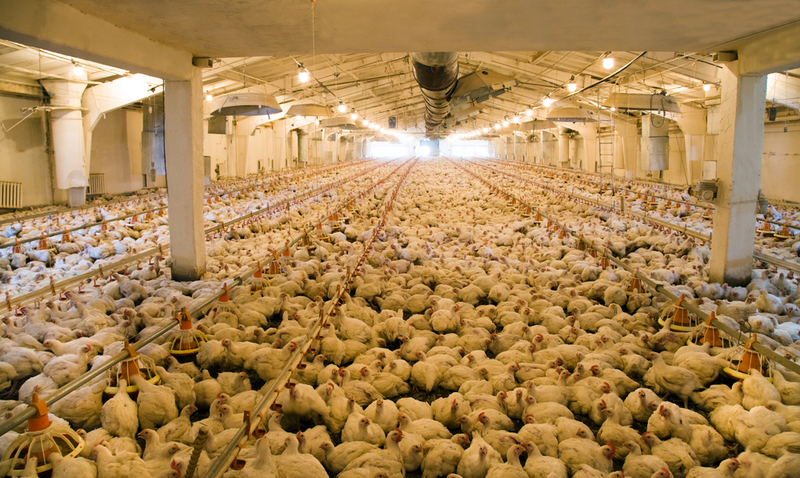 That results in photos like these, intended to make factory farms look bad. TW: animal cruelty, continued below the fold. I can’t imagine these photos are effective at making people go vegan. It is so easy to feel that this is just sampling bias, a factory farm that is much worse than the average. The only light source is the camera flash to make it extra depressing, and these photos are obviously intended to make factory farms as bad as possible. For me, the most convincing photos are the ones that are supposed to make factory farms look good. Factory farm promotional material. This is the first photo of a factory farm that made me cry, made me feel what it means to live in a factory farm. It is cramped. The birds don’t look healthy. And, most importantly, it is clear that this farm is one of the good ones. 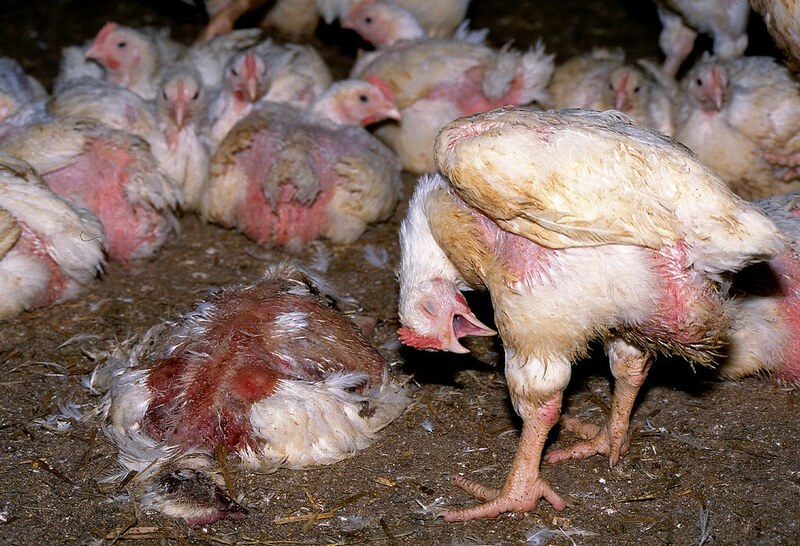 Bad conditions for farm animals aren’t an exception, they are institutional.